United Nations, March 23 : A Syrian envoy on Friday said that the Syrian Golan will always remain an Arab Syrian territory, reacting to US President Donald Trump’s surprise tweet that the US would recognise Israel’s sovereignty over the Golan Heights. “The statement made by the American President and his administration officials regarding the occupied Syrian Golan, and the visits of individuals who claim their representation of the American people, will never change the fact that the Syrian Golan was and will remain an Arab Syrian territory,” Bashar Jaafari, Syria’s permanent representative to the UN, told reporters at the UN headquarters in New York. “The Syrian people are more resolute and determined than ever to liberate this precious part of the Syrian territory by all means, and regain the Syrian sovereignty right over it,” he added, Xinhua reported. 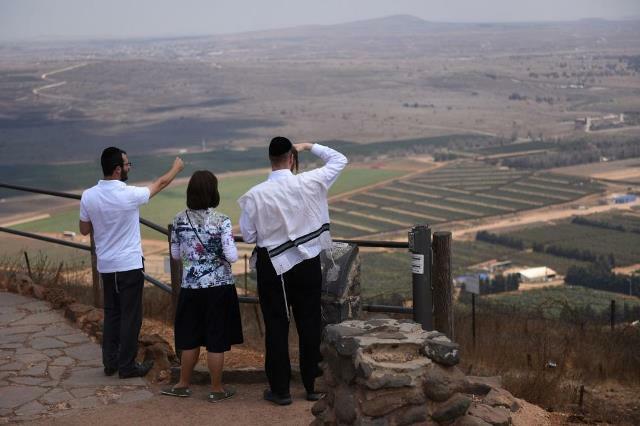 Trump has overturned decades of US policy by saying in a tweet on Thursday that it was time to recognise Israel’s sovereignty over the occupied Golan Heights, which it captured from Syria in 1967.